When the folks at Blue Chair Bay challenged me to create a Memorial Day drink using one of their rums, my first thought was that as much as I love rum and rum punches and daiquiris and mojitos, I wasn’t sure what I could contribute to the list of fruit-forward rum-based cocktails that are a staple of my summertime sipping. Then I discovered that they made a Banana rum, which, for me, brought up a completely different flavor possibilities than the fruity fruity drinks that first came to mind. Challenge accepted. Keep reading for your chance to win a bottle of Blue Chair Bay Rum for yourself. Although I grew up in Queens, New York, my parents are proud Southerners. Summertime takes me back to visiting relatives in North Carolina—sweet tea, barbecue and banana pudding. Now, my aunt Jo made the absolute best banana pudding I’ve ever had. And in my family, we don’t do little pie pans. Our banana pudding is made in big casserole pans, like the kind you’d use to make a lasagne. Even with that hefty amount, Aunt Jo’s banana pudding never lasted long. If you missed it, well, you missed it. 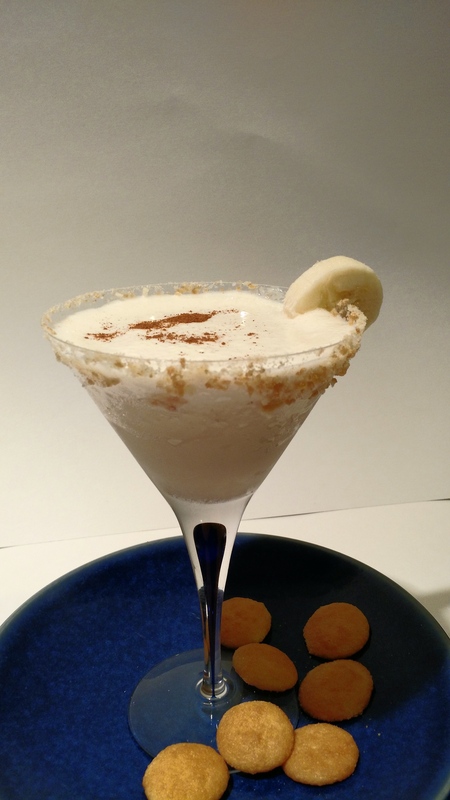 My Blue Chair Bay Banana Rum recipe is an homage to my Aunt Jo and her signature dessert. The rum itself has a nice, subtle banana flavor, with some spice notes. I added an actual banana to bright the flavor up front. The Baileys adds the creamy texture and the Licor Cuarenta y Tres, a Spanish liqueur, brings the vanilla. If you’re grilling this Memorial Day, throw in some caramelized (grilled) banana for an added layer of flavor. Rim a coupe or cocktail glasses with crushed Nilla wafers. 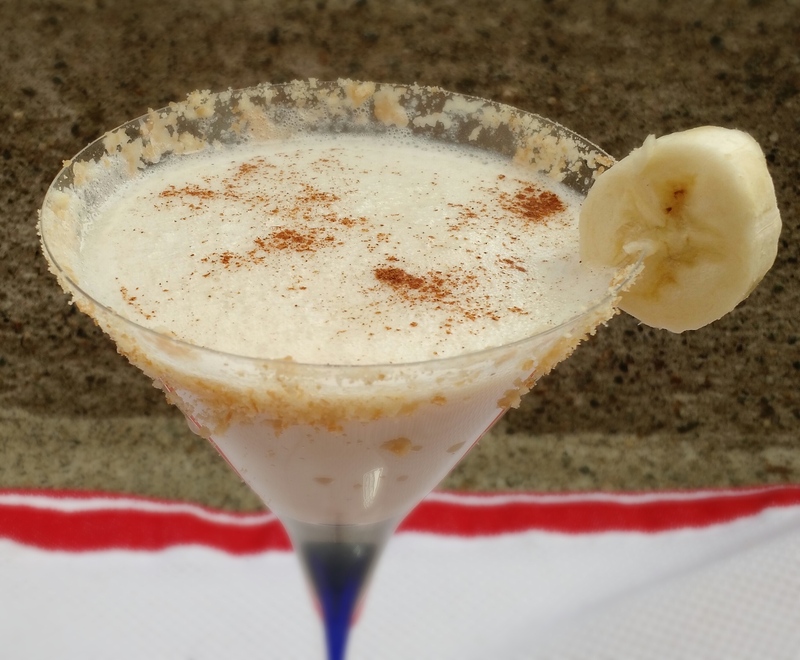 Pour Blue Chair Bay Rum, Bailey’s and Licor Cuarenta y Tres into a blender, add banana and top with ice. Blend until smooth. Pour mixture into glasses, sprinkle cinnamon and garnish with slice of banana. Enjoy! 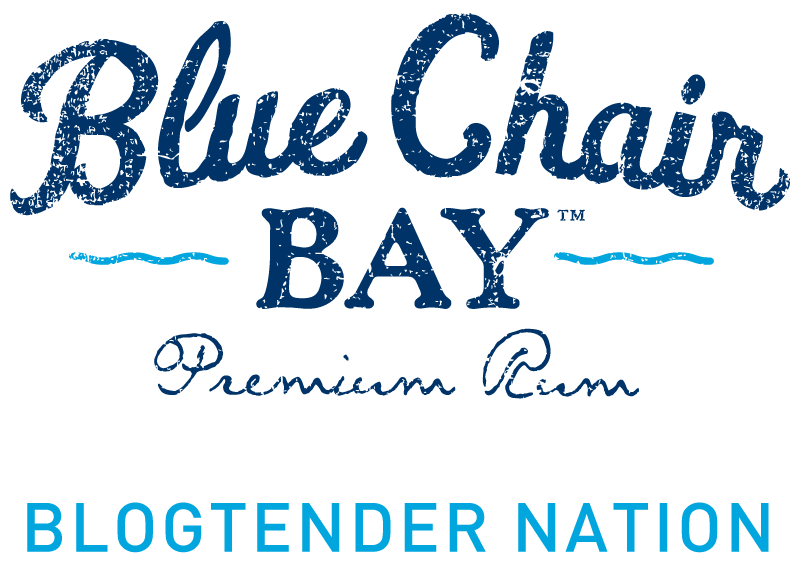 Get more great recipes from Blue Chair Bay rums on their website or Facebook page and if you’re feeling inspired, you’re in luck: I’m giving away a bottle of Blue Chair Bay Rum. To enter, hit me up in the comments and tell me your favorite rum memory in 150 words or less. Now, I know some rum memories might be a bit foggy, owing to the amount of rum consumed, but concentration and attention to detail earns rewards. So, tell me all about your favorite (PG-rated!) rum experience (great vacay? poolside drinks on your honeymoon? that time you entered and won a limbo contest? ), along with your email address. Keep it clean—I can’t emphasize this enough. Entrants must reside in the continental U.S. and be over 21 years of age. Contest ends on Tuesday, May 26, 2015. My best rum memory: Malibu and cranberry with my girlfriends at the firehouse where our boyfriends volunteered. We played cards, shot pool, and sipped on our drinks. Good times! I remember in college we didn’t know much about any kind of fancy cocktail….we just kept a bottle of rum in our room and late at night we’d hit the vending machines for cokes to mix with it. I’ve never been a banana person but this drink sounds absolutely delicious and I would definitely try it. However, my favorite rum drink is made at a moderately priced food establishment called Dallas BBQ. Their coladas are theee best especially with an extra shot of Bacardi 151. They make for some of the best lunches I have ever had (shhhh!). Having a stressful day, head on over. I guarantee your afternoon will go a lot smoother. Cheers! My favorite memories with rum involve my family! Every August we have a family reunion and it is awesome. It’s basically in the desert so about twenty of us camp out on my uncle’s property or crash inside for a week and spend our days by the pool! The drink of choice for my family are rum and cokes! Drinking pina coladas in Grand cayman on my honeymoon!! One of my favorite memories ever. Drinking fruity rum drinks on our cruise to Mexico last summer evokes good memories! One year I went on a spring break trip to the Bahamas with my sister and cousin. That trip brings back a lot of fun, rum-filled memories!